NO : 1, 8th Street Ram Nagar, Nanganallur, Chennai - 600 061. The name Ashtalakshmi is obtained because it is dedicated to Eight Manifestation of Goddess Mahalakshmi. The festival season is between the month of September and October. The Mahallngapuram Ayyappan temple was the first Ayyappan temple in city, Following the Ayyappan philosophy of universal love and brotherhood conceived with the hope that it woujd be an ideal place of worship for devotees. Thambu Chetty Street, Parrys, Chennai. On every full moon days and on all navarathri days ,sri chandi homam is performed praying for the welfare of the mankind. Kapaleeswarar Koil is situated in Mylapore, Chennai very close to Sea. Temple one of the oldest. The Executive Officer, Sri Nageswaraswami Temple, Vadanageswaram, Kundrathur, Chennai – 600 069. The Kundrathur Murugan Temple is a famous temple situated on top of a hillock dedicated to Lord Murugan. Sri Kamakshi Amman Temple, Mangadu – 602 101, Kancheepuram district. Mangadu the Goddess Sri Kamakshi came and started her penance standing on the PANCHAGNI in the midst of forest of Mango trees. Sri Marundeeswarar Temple, Tiruvanmiyur, Chennai. Lord Marundeeswarar is known so because he taught sage Agastya about some magical medicine. Since then the Marundeeswarar temple has been a place of worship for people with diseases and various problems with their health. Sri Nitya Kalyana Perumal Temple, Tiruvidandhai-603 112. During Thretha Yuga, Bali the son of king Meganathan was ruling the kingdom in a righteous way. Demons Mali, Malyavan and Sumali and others sought the help of Bali to fight against the devas. Sri Parthasarathy Temple, Tiruvallikeni, Chennai – 600 006. Steeped in mythologies and eulogised by the Azhwars in their sacred hymns in Tamil glorified as Divya Prabandhams the Parthasarathy temple at Tiruvallikkeni or Triplicane, as the Britishers called it, happens to be the oldest temple in the city. Sri Pattinathar Temple, Tiruvottriyur, Chennai – 600 019. The temple is on the shores of Bay of Bengal. There is no tower or vimanas. The saint is facing the sea from a separate shrine in a Linga form on a square peeta-stage. Reddy Kuppam Road, Kanathur, Chennai. The Jaganath Puri temple is situated at Reddy Kuppam Road, Kannathur, off New Mahabalipuram Road. The main deities of this temple are Lord Jagannath, Devi Subadra and Lord Balabadra. Shirdi Sai temple at a place called Injambakkam located on the ECR road ( Old Mahabalipuram Road ) at Chennai and it is called Saipuram. The Sai Baba Temple located at Venketesa Agraharam in Mylapore is also known as All India Sai Baba Samraj. The temple was built in commemoration of Saint Shirdi Sai Baba who became a proponent of Sufism and used to perform miracles. Sri Vadapalani Andavar Temple, Vadapalani, Chennai. Vadapalani Andavar Temple is located in Vadapalani, Chennai. The temple is dedicated to Lord Muruga. The temple was renovated in 1920s and a Rajakopuram was built during that time. Kazhugu in Tamil means eagle and kundram the hill, hence the name of the place Tiru Kazhu Kundram. Even today two eagles visit the temple every day to accept the rice offered to them. Thirupathy Devasthan Information Centre, 50, Venkata Narayan Salai,T.Nagar, Chennai-600 017. Thirumalai Thirupathi Devasthanam situated in Andhra is one of the important temples of India. The Information centre for this temples is Thirumalai Thirupathi Devasthanam. Sri Neer Vanna Perumal – Sri Ranganathar Temple, Tiruneermalai – 600 044, Kancheepuram district. Sage Valmiki, author of the celebrated epic Ramayana, desired to have the wedding darshan of Lord Sri Rama. He came to this place and performed penance to achieve his aim. Over 450 years ago, the founding guru of Thiruporur Adhinam Srimad Chidambara Swamy who was an ardent worshipper of "Madurai Meenakshi Amman" had a vision of the Goddess bidding him to build a temple for Lord Muruga at Thiruporur. Thiruvalluvar Koil St, Mylapore, Chennai - 600 004. This is a memorial built 400 years earlier in memory of Thiruvalluvar. But people considered Thiruvalluvar as God and performed poojas and changed the memorial in to a temple. Hence, it is called Thiruvalluvar Temple. Sri Meenakshi Sundareswarar Temple Madurai -625 001. Meenakshi Temple is very famous temple situated on the southern bank of the river Vaigai in Madurai in the state of Tamil Nadu. Located at about 460 kms southwest of Chennai this temple is dedicated to Goddess Meenakshi who is considered to be another form of goddess Parvati and Sundareswar who is considered as another form of Lord Shiva. 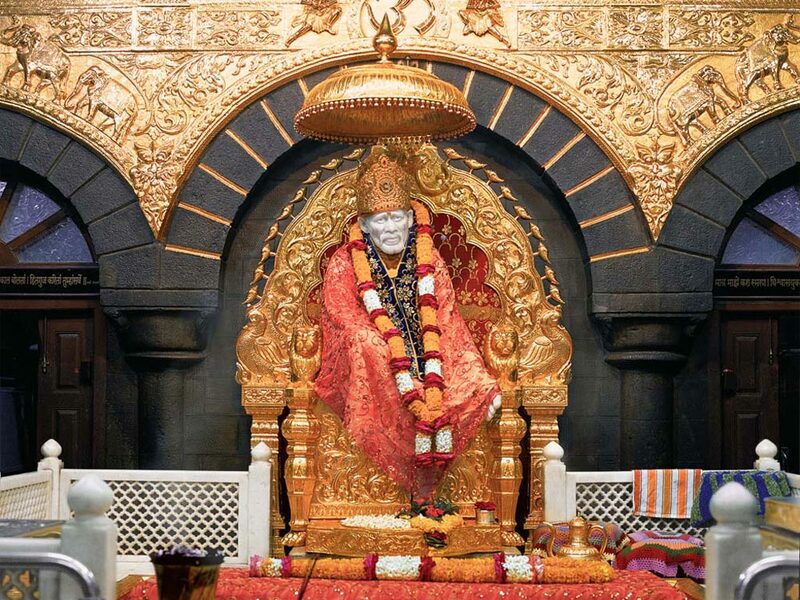 Located in the state of Maharashtra is a famous town known as Shirdi and it is in this town Sai Baba temple is situated. This amazing temple is visited by many people all around the year.